The Food Network’s ‘You Gotta Eat Here!‘ program is filming at Motor Burger and you’re being invited for an opportunity to be on TV across the country! The popular Via Italia burger joint is encouraging you all to enjoy lunch at their establishment tomorrow, Wednesday, June 20, 2012, from between 11:00am and 3:00pm. 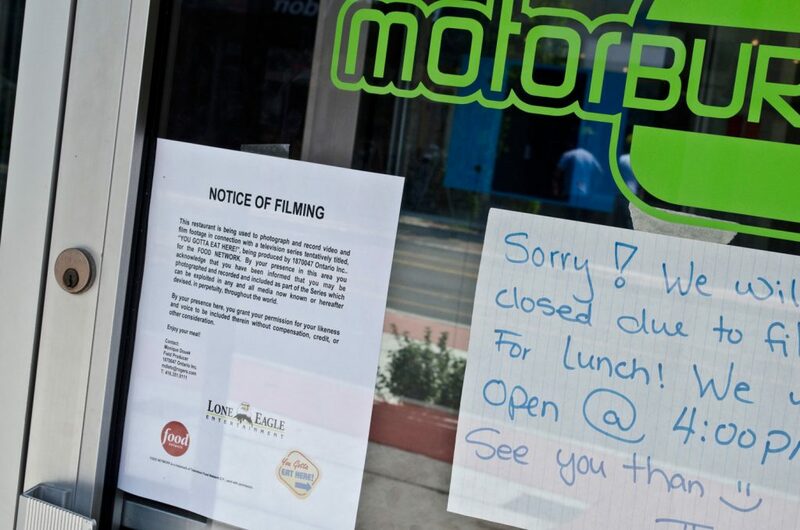 This is the perfect opportunity to show the world your Motor Burger lovin’ as filming will be taking place during this time. WindsorEats was on site today talking it up with Motor Burger owners Jay Souilliere and Gino Gesuale, as well as ‘You Gotta Eat Here!” host John Catucci. Tomorrow should be a fun time so be sure to pay a visit!